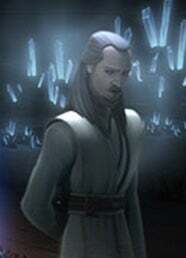 Did you know that Qui-Gon was a grey Jedi? @Rogue Rey wrote: @vaderito Qui-Gon decided Padme's fate too when he asked Obi-wan to take Anakin on as his apprentice. Do you think you learnt much from TPM??? Yes I do! As @bela.mesecina pointed out, Qui Gonn is a grey Jedi. It isn't explicitly said but you can feel it from the fact that he doesn't care about seating at JC and he has different opinion on what a Jedi should be focused on than Yoda. He seems more attuned to the Force itself rather than use it to further his ambition. he's also more compassionate than the other Jedi. Like Obi Wan says, he picks up pitiful life forms. Plus, he wears grey on Tatooine so that's that. Shmi was so wise! And she really wanted Anakin to be Spartacus of Tatooine. Palpatine played Amidala terribly. She fell for line, hook, sinker. Poor Padme. Anakin was only annoying in the cockpit. Otherwise he's a decent kid. The Republic was crap that didn't really care about its most needy citizens. Like I said in my blog, I hate condo temple because it's void of any mysticism. @vaderito , horrible celebration music because it's the emperor's theme. I love all your other points. I won't join the viewing party, but it's nice to read the comments! @Force22 wrote: @vaderito , horrible celebration music because it's the emperor's theme. This is open for people to add comments if they see the movie any time after this weekend. So no pressure. OMG, it's his music! Oh boy! Terrrible. Nope. Just nope. I am OT purist. @Darth_Awakened wrote: Nope. Just nope. I am OT purist. TP is actually more relevant for Reylo than OT. @Darth_Awakened no offense at all. What, no love for Sebulba? A SW character who says "shag"? OMG! You must join Sebulba fan club! @vaderito wrote: @Darth_Awakened no offense at all. What, no love for Sebulba? khmm...honestly I forgot about that guy...yeah he was kind a cool as well. My first problem with that movie, as I recall well, was Darth Maul. Sounds silly - but I was sort of offended by this one-dimensional villain (not a shadow of a villain I used to see in SW movies). I don't get Maul love either. Aside his ballerina double blade dance, which is cool and would look tremendous if Rey did it, he was nothing of a role, went down like a b****. I don't know if I'll make it this weekend to watch the movie, but I'll be reading this topic. Looking forward to all your theories. @Queen Rey wrote: I don't know if I'll make it this weekend to watch the movie, but I'll be reading this topic. Looking forward to all your theories. Anyone can catch up next weekend or whenever they have time. Okay I'll try again seeing as my previous attempt disappeared!!!! Anakin was a happy kid despite his circumstances - that yipppeeee! Palpatine was child snatcher creepy with some serious hair!!! Great observations from everyone. I rewatched TPM a few weeks ago. I'm not inclined to watch it again just yet. I did really like Padme even though she got played big time by Palpatine. I also see Padme in Kylo/Ben. I loved Liam Neeson as Qui-Gon and was sad we never saw his force ghost. I'm also puzzled by the fuss about Darth Maul. The design of him and his double-edged staff lightsaber were cool, but that's it. I had such a crush on Ewan McGregor as Obi-Wan back in the day. I actually preferred his longer hair look in AoTC, though. EM was on the Graham Norton show last night, and he was looking fine! I quite liked kid Anakin. The bit where he runs back to hug Shmi brought tears to my eyes. I was imagining Ben Solo doing the same with Leia. Creepy Palpatine homing in on young Anakin also makes me think of Ben and Snoke. Poor Skywalker kids and their creepy stalkers! I don't hate Jar Jar Binks, but his shenanigans do start to grate, especially when he's messing with the pod racer. I actually saw TPM three times at the cinema when it was originally released. My stepson had just about all the action figures and spaceships etc. I don't think I could quite accept that it wasn't a good movie until much later. Talk about denial! Poor Padme and Anakin, gotplayed by Creeper!Palp and poor Ben got played by Creeper!Snoke. Exclusion of Qui Gonn Force Ghost is puzzling but maybe he didn't want to hang out with those by-the-code b****es Yoda and OB1? Love how many characters one can see in Kylo. Not an easy task. Since Kylo is very much like Anakin, I suppose little Ben was like that, afraid for his parents. Maybe Snoke threatened that they'd die? And then it was Ben who killed his father, not Snoke. I could see that with Ben and Snoke @vaderito After all, Anakin's fear of losing Padme became a kind of self-fulfilling prophecy. It's the creepy manipulators way of getting what they want via twisting events to their advantage. Ben must be the one to break free before it's too late, or suffer his grandfather's fate, he will! Anakin lost Padme in his darkest hour...but Ben found Rey. @vaderito wrote: Poor Padme and Anakin, gotplayed by Creeper!Palp and poor Ben got played by Creeper!Snoke. Also, as to Jar Jar, have you guys seen the Darth Jar Jar theories? The idea is that Jar Jar would be revealed to be a villain in Episode II. There is some foreshadowing in TPM, like the scene with the bigger and bigger fish, and Qui-Gon's coments, and other stuff. I think the theory makes sense, especially cause Star Wars villains should be interesting and cool looking and Dooku is just an old dude (played by an awesome actor, but stilll...). The idea is that Dooku was shoehorned in the plot cause Lucas chickened out of having Jar Jar be the baddie. A book by Asimov has similar plot line, ( a silly, goofy character that is the real baddie, kind of kile Kaiser Sosa) and Asimov's Foundation is a strong influence in Star Wars. Anyways, if anyone is interested, read some here. Ive seen Mortis......He only appears as a force ghost in the Mortis trilogy because it is a force strong place.....otherwise he can only manifest as a Force Voice..... it is an irony that Yoda and Obi-wan learnt this from Qui Gon but he himself couldn't complete the process.